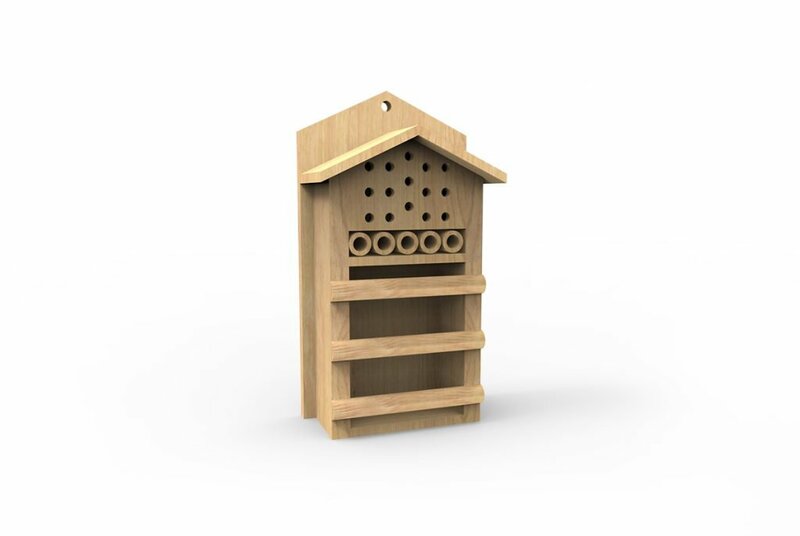 Our Insect Habitat provides children with the perfect platform to experience nature first-hand. The wooden structure has many crannies and crevices, providing a hide out for insects all year round.It allows children to learn about and identify various species of insects, watch their patterns of behaviour and experience growth and movement of insects both big and small. Learning about the variety of wildlife found in the natural environment gives children an investigative sense about their surroundings and helps to bring learning to life. Taking learning outdoors is good for the children’s health and wellbeing. Made from quality pine, this item is both long lasting and attractive. Alongside our other nature play products, your playground can be transformed into a natural looking outdoor educational space. It also offers excellent integration with existing woodland or garden areas. ** Also available post mounted.